The holiday season can be hectic, but keeping yourself organized is the key to staying merry! We’ve got tips for keeping each room of your house clean, organized, and company-ready! Simple additions like a small wastebasket can help keep trash and loose odds-and-ends from piling up. It’s amazing how much more inspired your family will be to throw away their garbage when they have a trash can sitting right in front of them. If the toys are out of control, convert a corner into a designated play area. Add some mats or a children’s table to keep your kid’s creativity in one area. Adding a few extra bins for miscellaneous toys are also great for a quick and easy cleanup. What’s the purpose of your coffee table? Is it just a resting place for your feet? It shouldn’t be! Convert your coffee table into a helpful storage area by using it for your magazines, newspapers, remote controls, and drink coasters. Top it off with a deliciously-scented candle. The space above your toilet is often underutilized even though it’s an excellent place for storage. Hang up a couple new shelves or purchase a standing rack for above your toilet. These are great for storing little objects that end up cluttering your bathroom countertops like soaps, toilet paper, and hair appliances. 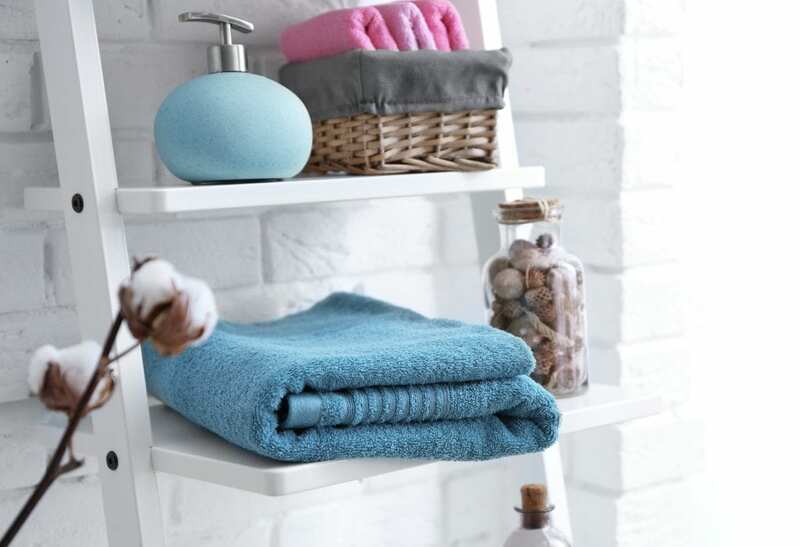 Adding a few baskets or jars to hold loose items can improve your bathroom organization tremendously. Things like bobby pins, hair ties, and cotton balls look much better in a wicker basket rather than on your countertop! How you ended up with so many coffee mugs might be a head-scratcher, but figuring out what to do with them isn’t. Mugs are bulky and take up a lot of space in your cabinets. Instead of storing them, hang them! 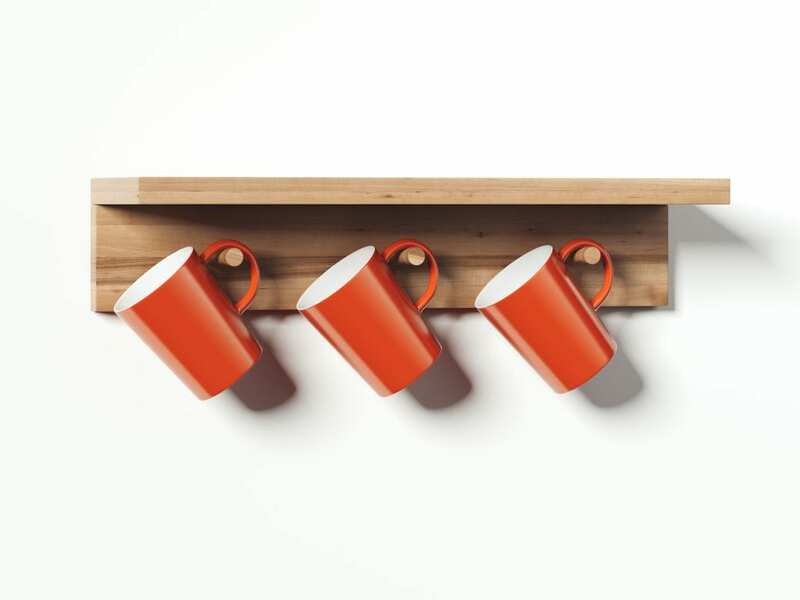 Add some hooks to your kitchen and attach your adorable mugs for the world to see. Ladles, spatulas, tongs, oh my! Grab some mason jars and designate each one for a different type of utensil. One mason jar for spatulas, one for tongs, one for serving spoons, etc. Water bottles can be a pain to store and tend to fall over in cabinets. Use a repurposed magazine holder to stack your bottles and keep them in place until you need to use them. Everything looks better hanging up. Add more storage space like key racks, hooks, and shelves to the walls of your entryway. This will encourage your family to stop leaving their belongings on the floor and to start hanging them on the walls. For items that no one really knows where to put, a low storage bench is a perfect solution. 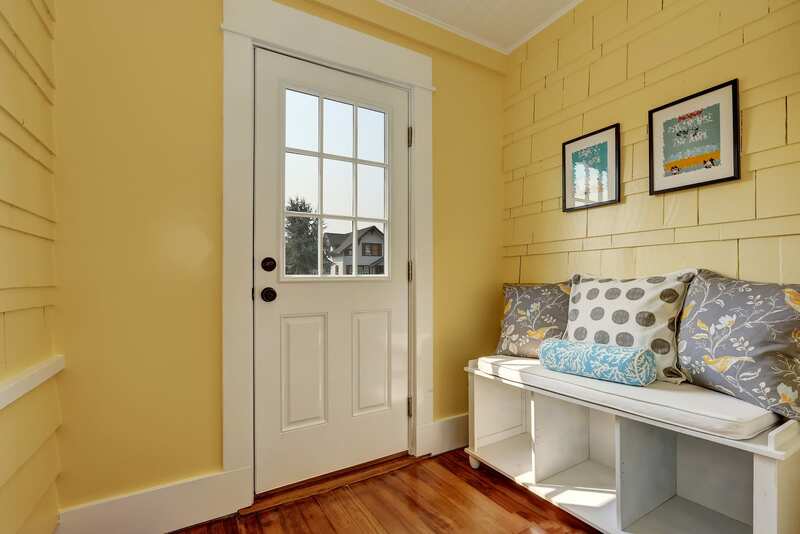 On the outside, your bench looks cute and adds extra charm to your home. But inside is where all your miscellaneous clutter can live, unnoticed by your guests. 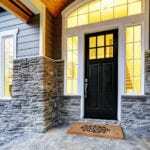 Your door can be used for storage, too! Add some extra hooks or even a shoe organizer for putting loose items that don’t seem to have a home. 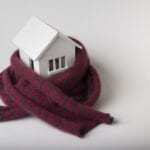 If it’s time for a remodel, the experienced experts at Eagle Construction are here to help!